Get comprehensive scans for a variety of medical reasons, including athletic injuries or regular diagnostic check-ups. Middle Village Radiology of Rego Park, New York, accepts most insurance plans and offers lower rates and payment plans for uninsured patients. Our state-of-the-art technology produces high-quality images without lengthy waits, so your doctor receives results as soon as we complete the scans. Utilize our free pick-up and drop-off service to take the stress out of traveling to our clinic. In business for more than 10 years, you know you're in good hands when you choose our American College of Radiology-certified clinic for your medical imaging needs. 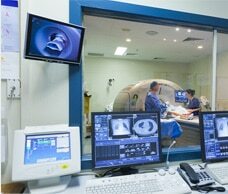 For more extensive imaging than an x-ray can provide, get MRI or CT scans. These comprehensive procedures provide imaging of the entire body in order for doctors to find fractures, tumors, or other abnormalities. MRIs and CT scans are available with high contrast if necessary, and we provide same-day results. For all your diagnostic needs, Middle Village Radiology provides a variety of imaging methods to better serve you. In addition to MRI & CT scans, we offer x-rays with fluoroscopy, ultrasound with Doppler, mammography, and bone densitometry-DEXA scans. Walk in or schedule an appointment 48 hours in advance. Our mission is to provide quality Imaging and dedicated services to our patients and their referring Physicians.